In this episode, we answer two questions: The first is from a wife wondering if her church-going husband is truly Christian and the second is addressing a single woman’s inquiry regarding the appropriate length of time before a couple should get engaged. Hear Dale and Veronica’s answers as they offer wisdom from the Scriptures. A man cannot bring his family to a place he has not gone himself. How comfortable are you with kissing another person’s spouse? If you’re not, then don’t kiss someone until you know they will be your spouse. The three main reasons men pro-long marriage is fear, selfishness, and ignorance of God’s desire for marriage. 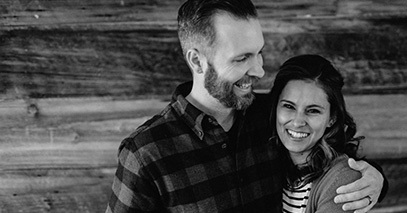 I have been married for 10 years to my husband, I struggle with letting him lead because I question his ability to lead since he doesn’t seem to be following God. He attends church with myself and our children but other than that, I don’t see any other “godly” things in his life. What do I do? I know I need to let him lead, and I want to, I just get scared. My boyfriend and I have been dating for over a year and not sure when it’s appropriate to expect an engagement. We, like many young Christian couples, struggle to remain pure and feel that prolonging marriage is making that harder.